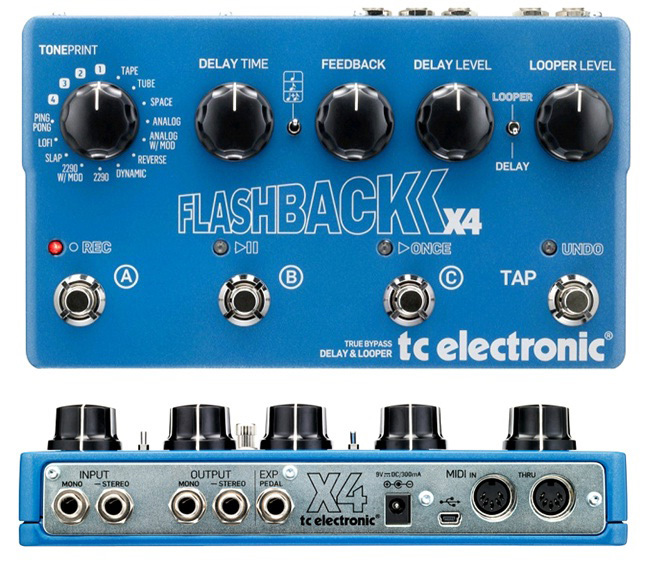 Flashback x4, Delay/Echo/Phrase Sampler for Guitar from TC Electronic in the TonePrint series. Through August 31st, residents of France, Germany, UK, Spain and Italy who purchase a Flashback Delay X4 effect pedal at authorized retailers will receive a PolyTune Noir tuner pedal for free. 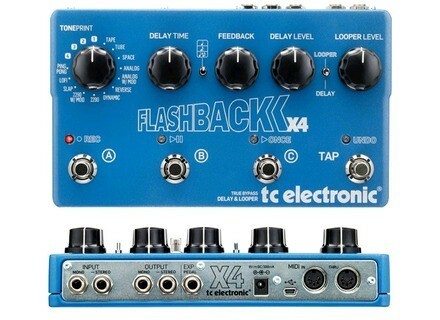 To receive your PolyTune Noir tuner, you need to fill out and send the form available at www.tcelectronic.com with you invoice and the barcode from the Flashback Delay X4 box. TAPO combines tuner and capo Editors Keys, the keyboard cover specialist, added to its catalog TAPO, a tuner mounted on a capo. Roland Cube Lite Review In order to counter the successful Yamaha THR10 and THR5 "coffee table amps," Roland announced the launch of the Cube Lite during the last NAMM, which extends the well-known Cube series. The Best Guitar Amp Brands Guitar (and guitar player!) apart, the amp is certainly the most decisive factor in the sound of a guitarist.